Are you an active, magical person who likes to focus on all things mystical? This pendulum reference sheet is useful for everyday spiritual activities, and for designing rituals when you want input from the spirits themselves. 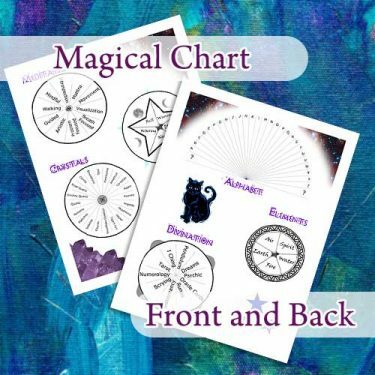 From the everyday to special occasion, this chart helps you to get into a magical mindset with many chart options and witchy decor.